Marcus Visionary, Toronto's prolific Jungle ambassador, steps into 2019 with a renewed focus and vision to share his passion for the original melting pot of influences that form the blueprint for Jungle/Drum & Bass. Dropping his first full project for his own imprint since 2013, Marcus turns in five meticulously crafted tracks that reintroduce his deeper, more soulful and introspective side to his worldwide fan base. 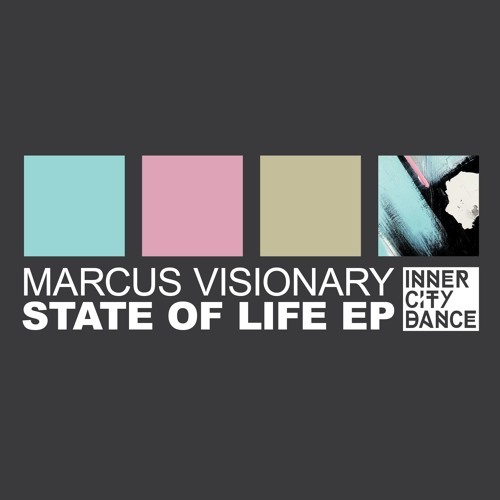 Few producers in Drum & Bass can capture the vibe of authentic Jamaican Dub the way Marcus Visionary can. "1 Love" is patented Visionary. Smokey, cavernous and weighty. Originate never pirate. Out worldwide on Inner City Dance February 18 2019 via Cygnus Music. such a nice dubby vibe! loovely EP♥ Big Up!